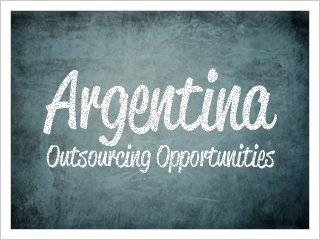 Why choosing Argentina for Nearshoring? 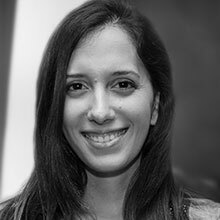 Read about the relation between Argentina’s higher education and it’s growing IT industry and why their professionals are a good choice for Outsourcing. You might be concerned about the options in nearshoring from Argentina because of the question of education. How well are IT professionals from Argentina actually trained? What is the education system even like? There really isn’t any need to worry, however, because Argentina’s IT industry is the fastest growing in all of Latin America. How Does Education in Argentina Stack Up? Education in Argentina is actually very well developed, and it continues to grow. In fact, according to 2007 statistics, Argentina has the highest college enrollment rates of any other country on the continent, coming in at 64 percent. The only country that comes anywhere near as close is Chile, and its ratio is 47 percent. With a nearly 20 percent lead over Chile, that makes Argentina one of the most educated countries in Latin America. While it isn’t nearly as high as the US’s 82 percent, Argentina’s college enrollment rate does come in higher than Canada’s 62 percent, which demonstrates the country’s commitment to education. Furthermore, the quality of instruction in math and the sciences is fairly comparable to America’s. Argentina’s IT industry is fast becoming the largest in all of Latin America, and that is in part due to its education system. The University of Buenos Aires, which is the highest ranked college in the country, offers a comprehensive list of undergraduate degrees, which stands up easily to any American university. Another point in the University’s favor is that undergraduate admission is free, which allows for higher enrollment, even among people who might not necessarily be able to afford college. If someone does have the money to continue his or her education, UBA offers Masters degrees in Science and Information Technology as well. But How Large is the IT Field in Argentina, Really? I’m glad you asked. There are over 70,000 IT professionals in the Argentinean workforce, 28,000 IT students in Argentinean colleges, and 3,000 IT graduate professionals. Those numbers are continuing to increase; the IT industry in Argentina has grown anywhere from 15-20 percent every year since 2003. Workers in Argentina definitely receive the necessary education to be successful software developers since these numbers are trending upwards; so, we can draw a direct correlation between Argentina’s higher education and it’s growing IT industry, which makes Argentina’s IT workers great candidates for nearshore outsourcing.